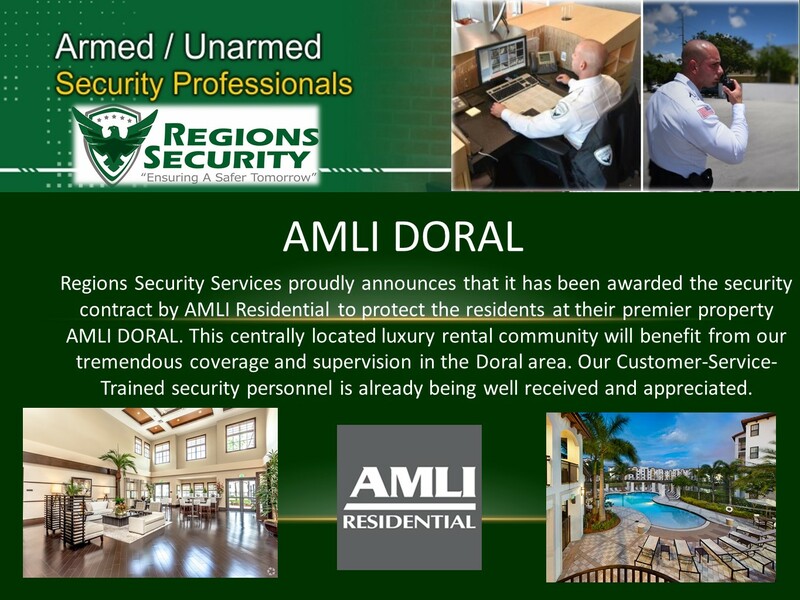 Doral luxury community takes a leap in their security measures. 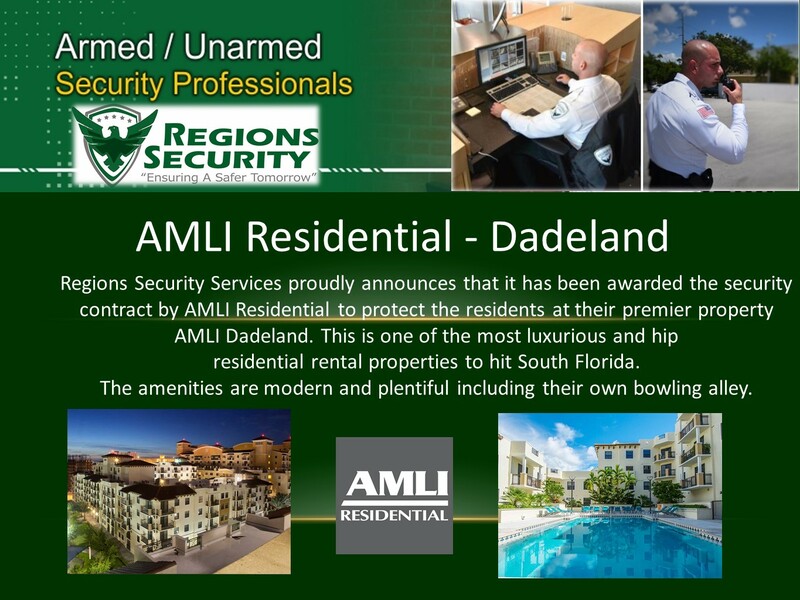 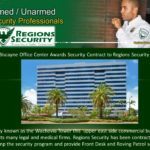 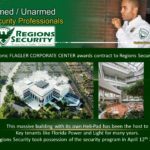 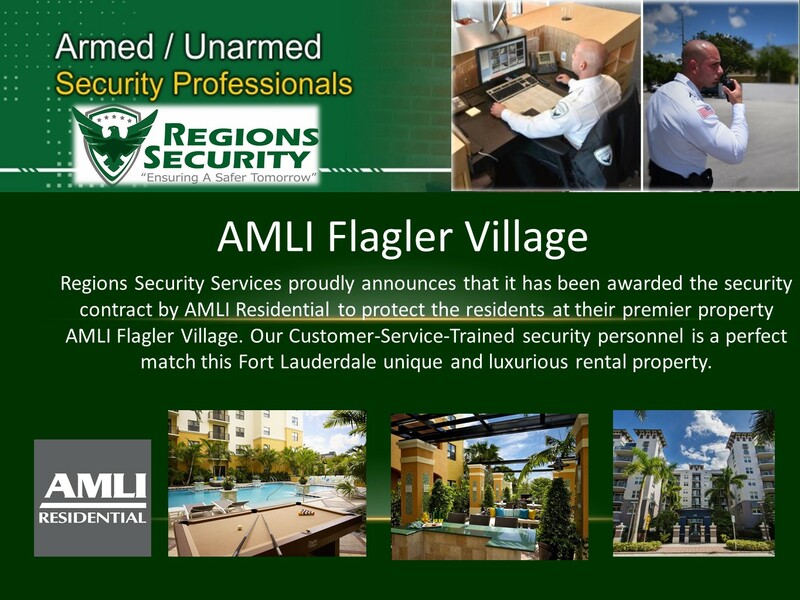 Our Customer-Service-Trained security personnel is a perfect match for this Fort Lauderdale unique and luxurious rental property. 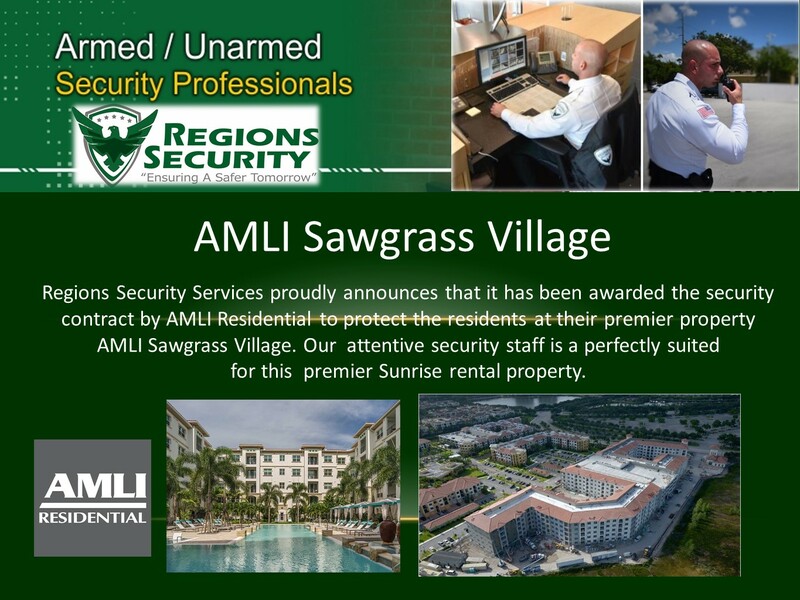 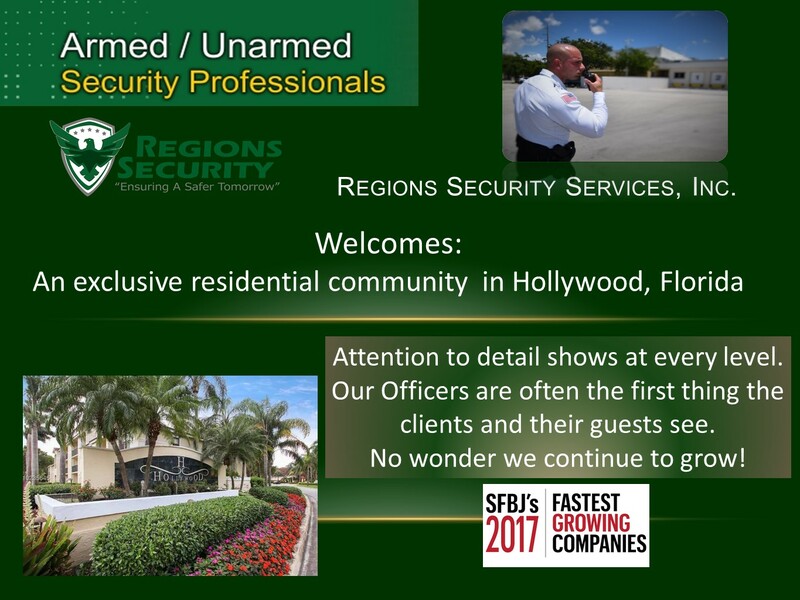 -: Feb, 2018 / Carlos Rivero, Jr.
-: Nov, 2017 / Carlos Rivero, Jr.
We proudly welcome an exclusive residential community in Hollywood, Florida to the Regions Security family of clients.